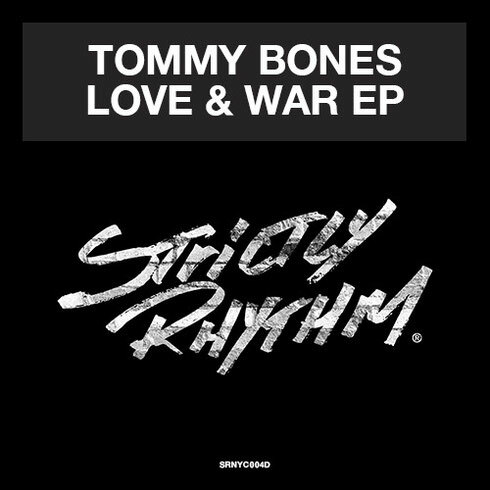 Hot on the heels of his Traxsource No.1 ‘Black Concept’, Tommy Bones returns to Strictly Rhythm with the ‘Love & War EP, featuring ‘Get Down’ and ‘Love & War’, two original cuts that highlight once again that Tommy is a man with influences that span the many variants of house music. ‘Get Down’ contrasts the classic house sound with contemporary beats, while his ‘Get Down’ (Remix) adds more horns to give the track an early-90s feel. The retro future vibe continues with ‘Love & War’ which rolls on a heavier, darker and techier tip. Check it out below, it’s out today.